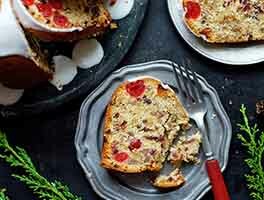 Tender, just sweet enough, and with a bit of tang, this cake is perfect with fresh berries. Or ice cream. Or both! In a large bowl, use an electric mixer to beat the butter and sugars at medium speed for about 2 minutes. The mixture will be light and airy, and will have lightened in color. For a visual, see our video, how to cream butter and sugar. WOW! This was so good! I wanted to make banana pudding but use pound cake instead of vanilla wafers (yes, I realize that it's really a trifle at that point). I decided on this recipe b/c the others on KAF called for cream cheese and I don't have any. I took a reviewer's recommendation of leaving the white sugar out,used Greek yogurt plus 2 tablespoons Baileys in place of the sour cream and half ap flour/ half white wheat. (I'm on a Baileys kick due to St Patty's day last weekend) I baked it in 2 8" loaf pans for 35 mins. It is fantastic! I sampled it once it cooled and it was difficult to stop at just a slice of it. In no way do I miss that extra 1/2 c sugar. AT ALL. it's perfect. I'm not sure there will be enough to make banana pudding/trifle after my husband digs in to it. I made this almost to the recipe, except I omitted the 1/2 cup regular sugar. 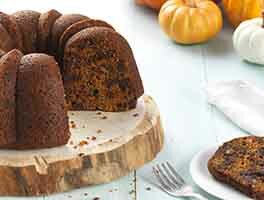 Wonderful cake, so moist and just sweet enough with a lovely mild buttery flavour. Will definately make again. 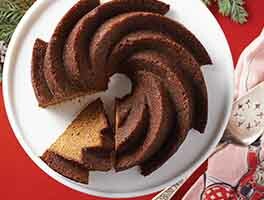 After the cake rose it filled my bundt pan perfectly, so no need to double the recipe. Perfect balance of sweetness to tanginess and extremely tender. I will make this again! This is delicious, even if you over slightly over bake it..lol. I've had my oven calibrated, so I know it's not the oven. I suspect it's the dark brown sugar I always use. Not exactly sure why I always grab for the dark instead of the light, preference I suppose. I didn't quite have a full cup of sour cream, so I topped it off with milk. 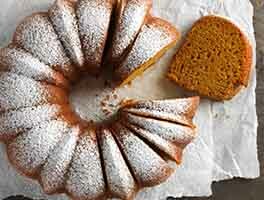 This pound cake doesn't disappoint! It's moist and very tasty. I sprinkled turbinado sugar over it while still warm. I ripped the recipe out of the catalog sent, I'm not sure when. Next time, I'll bake for 5 minutes less. And try to have the full amount of sour cream on hand. 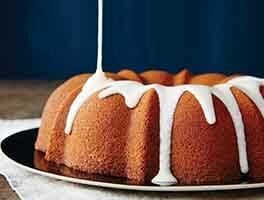 Tasty basic cake recipe that goes well with whipped cream. I ran out of brown sugar and used 2/3 brown sugar and 1/3 coconut sugar. It didn't appear to negatively influence the flavor. Mine only took 45 minutes to bake. Perhaps I should have lowered my oven temperature to 325 degrees for my metal bundt pan. Prepared the recipe exactly as written and it turned out perfectly. Mine baked up in 50 minutes. I didn't intend to make this cake. I started out making banana bread. I put brown sugar and butter in a bowl, then reached for my bananas and found they were far too ripe. (I don't think they're supposed to be liquid and bubbling!) So I searched for a pound cake recipe that used brown sugar and found this. Amazing. It's very light for a pound cake, but still very good. I love the flavor with the sour cream and brown sugar. I'm thinking of making it with some espresso powder next time. Delicious and easy! I've made this cake several times and it does not fill the bundt pan and it was only half full when baked. It did seem as if there's not enough flour and eggs in the recipe to fill a 10 cup pan. The flavour is wonderful so it's still worth making. I used light muscovado brown sugar which has a really nice colour and flavour. I've been making cakes for about 60 years so I feel I have experience. Wow and Wow! I almost didn't make this after reading the reviews, so glad I did. I made it in a stand mixer, butter just soft, seen all the talk about over mixing, did the 2 minutes as suggested by King Arthur. Mixed the rest in the steps listed really again just till mixed. 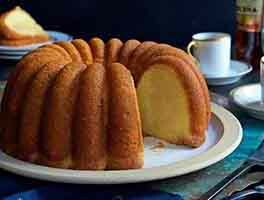 So moist and flavorful and I don't really like pound cakes but this is so good! just wish it was bigger, I might double it next time and try a browned butter glaze, but really people this has so much flavor and just from brown sugar. Don't change anything and give this a try, you will love it! Just cut into it after popping it out of my bundt pan and letting it cool. Sadly, my cake deflated after I took it out of the oven (don't overbeat your batter! ), but my family and I are in love with this cake. It has a moist, tender crumb and isn't too sweet. I love the slight tang from the sour cream. Can't wait to serve this with whipped cream and berries! I will definitely be making this again.